Though published nearly 30 years ago, Writing A Woman’s Life is a compelling feminist argument that still has value today. Heilbrun argues that there are far fewer narratives of women’s lives available to us than there are narratives of men’s lives. Why does this matter? We make sense of our lives through narratives, and we make decisions about what is possible in the context of whatever stories are available to us. In this sense, narratives of women’s lives– biographies, autobiographies, memoirs– serve as road maps, showing us what kind of lives can be lived. They can open up the world or close it down. One of the most interesting distinctions Heilbrun makes is between romance stories (often ending in marriage) and quest stories. This is a useful distinction, because it calls attention to the patterns of difference between women’s and men’s lives. Quest stories are exciting. They emphasize self-determination and agency. Men on quests pursue their passions and strike out on their own. In contrast, women’s romance stories are closed loops. They operate all in the service of finding a man to dissolve into, the goal being to lose oneself, as opposed to constructing oneself, becoming a whole person. Obviously, much has changed since this book was written, and a major shift occurred when the writing of working-class women and women of color became more widely accessible. But it is still worth considering to what degree this argument is still applicable today. This is the kind of book that I crave– a strong feminist voice that asserts women’s right to personhood, to leading a full life and developing to one’s greatest potential. It chips apart commonplace assumptions about what kind of lives women and men are allowed to live, and for that, I’m definitely grateful for this book. There is something really sweet about someone handing you their journal to read. Being let in to the rhythms of another person’s daily life is also a comfort. 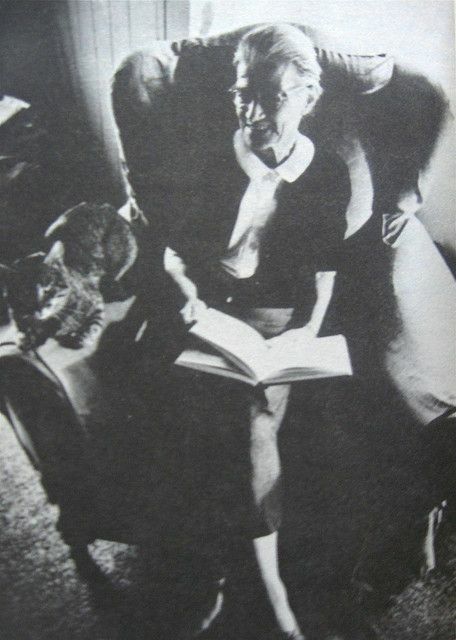 I am not sure about Sarton’s religious ideas, but in a lot of other ways, she drew me in. The journal of this one year in her life shows a passionate, loving person, who takes in and turns over the astounding and amazing parts of being alive, however simple they may be. A day working in the garden, flowers on the table, a bird, a poem, a friend. At one point, she writes about how it’s the job of the artist to filter experiences through themselves, and to do so, one must be honest and unashamed. So here is a journal. She tries to balance her need to be with others and her need to be alone. And let’s be honest, that can be really difficult sometimes. But throughout the book, what comes through is that she truly enjoys the creative process, and in some ways, that is when she is at her best. When the annoyances fade away, and she can WRITE.